The program of the 28th IPMA World Congress is now available online. Three inspiring days about Innovation through dialogue including 17 keynotes, 25 Specialties, 60 Best practices and 30 academic sessions, networking opportunities, social events, the IPMA Award gala and more. In total over 120 sessions from over 25 countries. And off course the Global Young Crew Workshop. Join the dialogue at the most comprehensive PM event of the year. Already over 400 Project, Program and Portfolio Professionals have registered. Register before August 1st and receive a € 100,- discount per registration. The program offers 60 Best Practices divided into 12 streams with themes as Improving Projects, Learning Organization, Leadership, Technical Competences, Stakeholder Engagement, Sustainability, Endurance and Agile. Share experiences of Schiphol Group, Thales, Alstom, Shell, Dutch Railways, Mapna Group, UNOPS, HP, European Space Agency, FranklinCovey, Diamond Light Source, TNO, AECOM, Tehran Renovation Organization, ABN AMRO, Microsoft, Port of Rotterdam, Panama Canal, Gartner, NACO, Heathrow Airport, JFK Airport and many more. Expect also a full and entertaining program for you evenings. 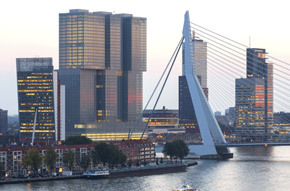 We start with an official welcome at the historic City Hall of Rotterdam on Monday evening. Afterwards we will introduce you to our IPMA World Pub, the place to meet other participants outside the congress venue. On Tuesday you can join one of the highlights of the year, the IPMA Award Gala dinner in the oldest building of Rotterdam, the Laurens Church. Finally on Wednesday we invite you to our Farewell Party. One more celebration with your peers before we have to part and go our seperate ways. Curious about the project challenges of Maasvlakte 2? 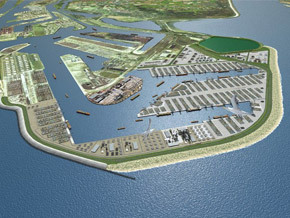 The Port of Rotterdam Authority offers up to 50 participants a unique field trip to this signature Dutch mega project. You will be transported to the Maasvlakte 2 with the official Port Catamaran and learn all about the ambitious scope of the project, its challenges and successes. In the middle of the first 1000 hectares of newly won land.